Located in the glorious south of France, Montpellier is recognised as being the capital of the country’s Languedoc-Roussillon region. The city is the 8th biggest city in the whole of France and over the past 25 years, Montpellier has been the fastest growing city in the country. One of the key reasons for the development and growth of Montpellier can be found in the student population. Montpellier welcomes students from all across France and Europe, with the student population making up one third of the population in the city. There is a clear attraction to this part of France, with the south coast benefitting from lying on the Mediterranean Sea and as third largest French city on this coast, after Marseille and Nice; Montpellier welcomes a steady route of tourists and sun seekers to the area. This means that any basketball fans heading to the city to enjoy this summer’s premier basketball event should look forward to fantastic weather and stunning views. 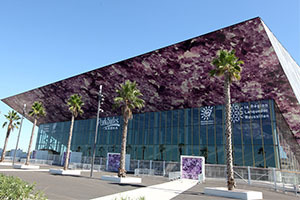 The venue for the games played in Montpellier in France is the Park&Suites Arena. The venue is a relatively modern indoor arena, being opened in September of 2010. The cost of construction for the venue was €53 million. The venue has a total capacity of 14,000 for seated spectators but for sporting events, the capacity falls to between 7,500 and 10,700 with the latter capacity set to be the figure for the major basketball event. In its short time, the venue has hosted a major tennis tournament and European handball matches. The venue is also well known for being a gymnastics venue, hosting the XXXI World Rhythmic Gymnastics Championships, which was part of the qualifying process for the 2012 Olympic Games, and in April of 2015, the venue hosted the European Artistic Gymnastic Championships. This means that the venue has considerable experience in catering to the needs of sports fans but in September, it is set to welcome its loudest spectators yet with basketball fans descending for the EuroBasket 2015 event. Three games a day will take place in the venue, with games scheduled for Saturday the 5th of September, Sunday the 6th of September, Monday the 7th of September, Wednesday the 9th of September and Thursday the 10th of September. This leaves Tuesday as the day off in the group and in less than a week, the teams will be packing up and moving on in the tournament or heading home. 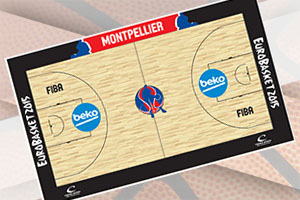 Four teams from Group A will progress through to the knock-out round and basketball fans in Montpellier can expect fast and furious action throughout the week. 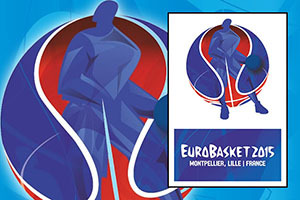 With France being involved in Group A, it is understandable that they will receive the most backing and vocal support in Montpellier but you can expect fans from Poland, Finland, Russia, Israel and Bosnia & Herzegovina to make themselves heard in the Park&Suite Arena in Group A of the 2015 EuroBasket event.